When I think about the idea of starting a business, I always thought that one would need a large amount of capital. I also had the idea that business owners must have plenty of experience or training in the industry where their businesses are in. But here’s where ‘The Popcorn Guy’, 27-year-old Zac Chua, proved me wrong on both levels. Growing up, Zac’s parents had given him plenty of freedom and autonomy to do whatever he wanted to do, and he was grateful for having “an awesome upbringing” like that. His father was a successful venture capitalist, he told me, as he built and sold his paint business, which “taught [him] a thing or two about business management”. 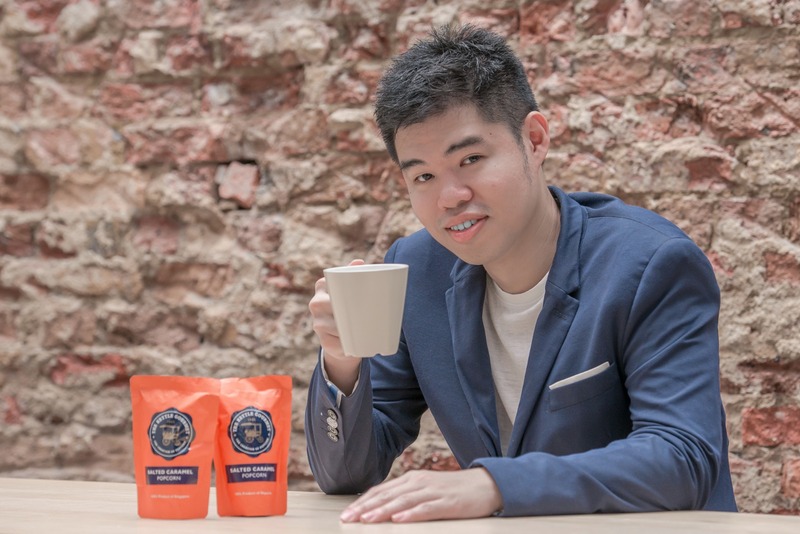 During his time as a student at Singapore Management University (SMU), Zac ventured into a journaling company, a games company, and invested in his friend’s startup. Before he graduated with a degree in Business Management from SMU, he had secured internships in large investment banks that paid over $7,000. But that was when he realised he could never work for someone else. “I’d rather die than work for others,” he said firmly. 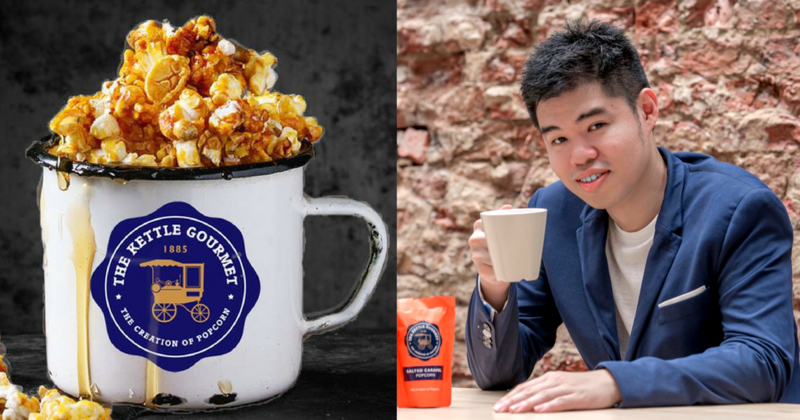 So he started up The Kettle Gourmet, a gourmet popcorn company, in July 2017 after graduation, passing up on what could be highly lucrative jobs in banking or trading. 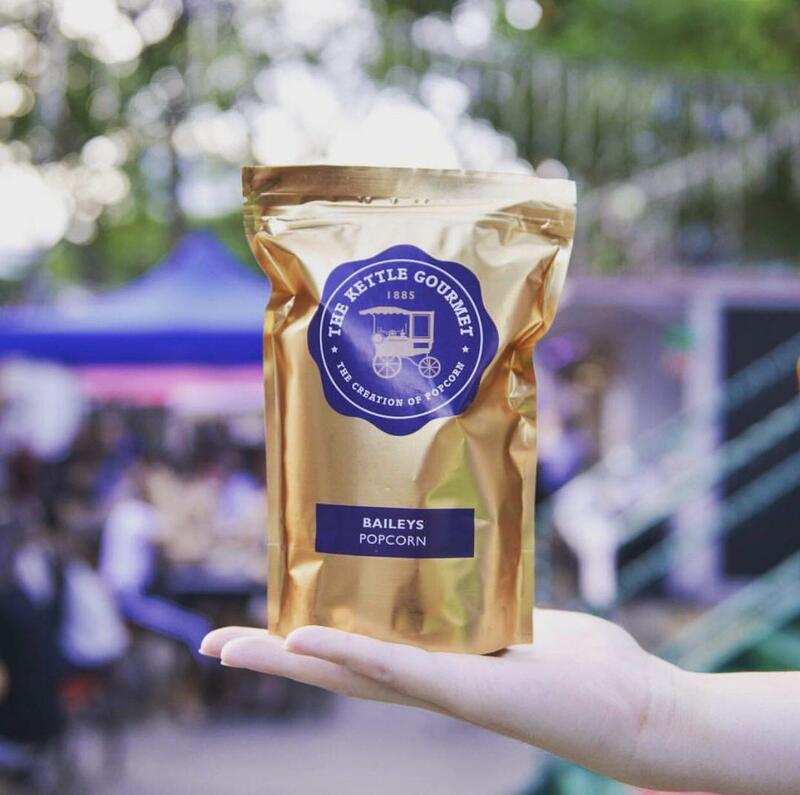 Zac said The Kettle Gourmet was an “accidental startup” that happened when they went to Slush, a tech event, to “validate an idea” – one that had popped up for fun from a “humble backroom kitchen” in 2016. 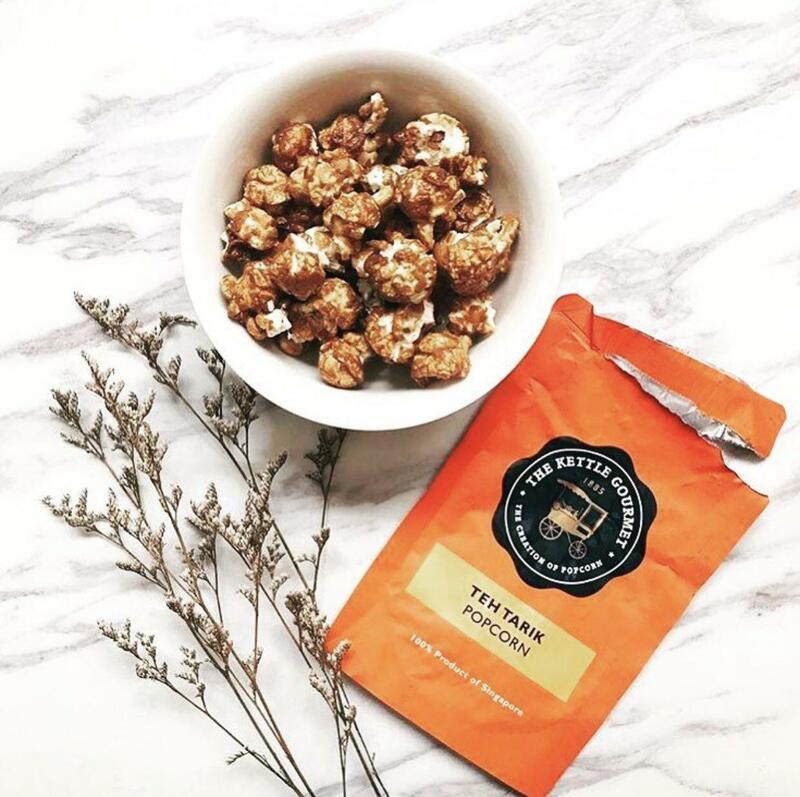 The impetus to create their own Garretts popcorn stemmed from the lack of variety of flavours because, “Sweet or salty?” could no longer cut it for Zac. He created a one-page landing page, bought a logo from a design marketplace for $7, and printed namecards that cost $4. His startup cost, including all of these and some other raw materials, totalled to less than $100. They then distributed free samples at the event, telling people to order them online if they liked it. Sales started trickling in and suddenly, they were stocked at pantries of businesses on a 6 or 12-month subscription basis. The SMU graduate explained that the raw materials were paid for by the money from his online pre-sales, and he had “secured enough clientele” so there was enough cash flow for the year before he invested in inventory, machinery, and real estate. He highlighted that for the first six months, he reinvested 100% of profits back into the business, while he lived off his own savings. But maybe as fate would have it, along the way, the help he received seemed to push him towards becoming ‘The Popcorn Guy’, as his friends called him. 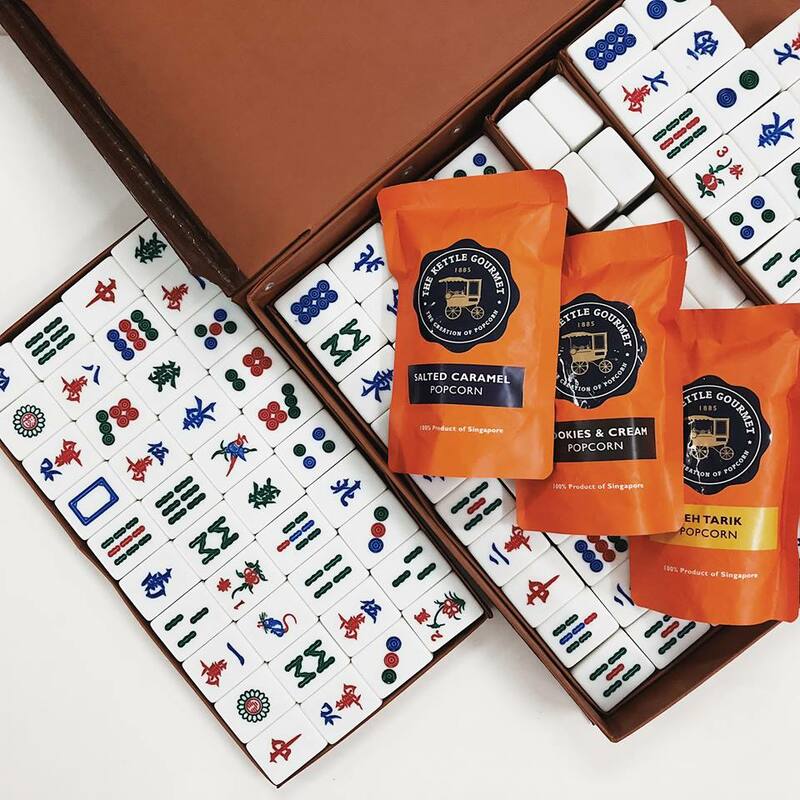 “I tapped on my network and found a friend, Claire, whose family runs a food manufacturing factory, so we worked out a deal quite easily,” he shared. He attributed having good relationships and network as their “biggest strength” and he felt “lucky” that people believed in him. “Had nine investors who offered to invest (one of them is a billionaire); happy to know that so many people think my company has potential [and that] keeps me going,” he told me. 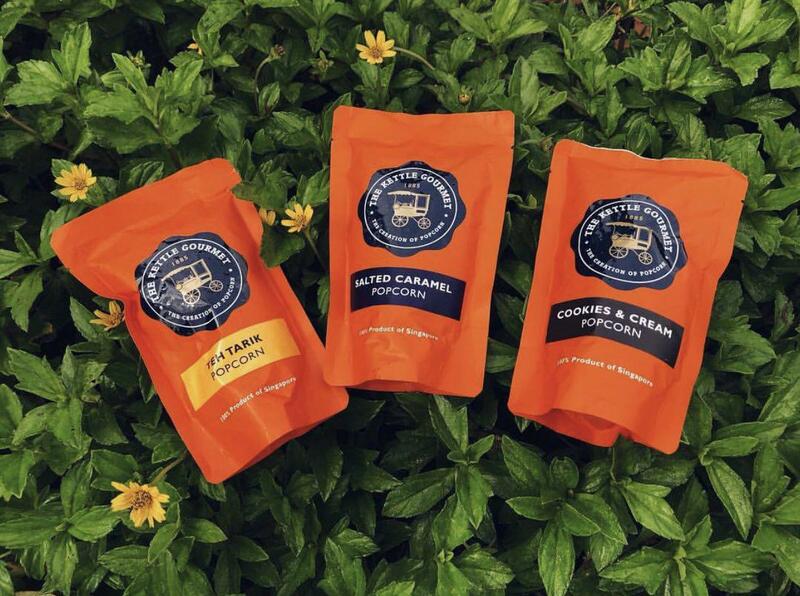 The Kettle Gourmet currently has three main flavours, Cookies And Cream, Teh Tarik, and Salted Caramel, and two seasonal flavours which are the Bailey’s and Bak Kwa. I thought their spherical popcorn looks similar to Garretts, so I asked Zac what sets them apart from the Chicago brand. “We don’t microwave our popcorn like you see in the cinemas. We localize flavours. We use a different breed of kernels [that are] round. We don’t use any artificial flavouring or preservatives. All natural,” he explained. Perhaps you can say that Zac has been walking through open doors when it comes to his business, but like every business owner, he faces these three typical problems. “I learnt that nobody cares about your business more than you do, so it’s hard to motivate employees to want to succeed as much as you do,” he reflected. He went on to say that it was tough because most people don’t take a popcorn seller seriously. Since he believed his product is great, he focused on scaling up the business, and kept scaling it up until people sat up and took notice of them, and treated them seriously. He had to strike a balance with the “right amount of SKUs”. If I launch too many flavours, it’s a logistical nightmare. If I launch too little, people will get bored easily. If I launch too quickly, I might cannibalize the sales of my existing flavour. If the bags lao hong, the company’s reputation gets destroyed. “If I order too little from my suppliers, I get unfavourable prices. If I order too much, I get stuck with inventory and face warehousing problems,” he lamented. Until now, he hasn’t found a “right solution” but counts himself lucky that there is more demand than supply so there are no problems with wastage or storage. “As we’re only a startup, we don’t have state-of-the-art POS or kitchen equipment. When we started out, we used Harvey Norman’s mini popcorn machine [that costs $49] and Microsoft Excel. So efficiency was an issue, but it’s much better now,” Zac shared. Previously, Zac mentioned that it is difficult to inspire unmotivated employees, so I reckon as a startup, every hire has to be worth his/her salt because startups typically have limited funds and resources. “The thing I look for in people is their ability to take initiative. I’m a firm believer that action takers always succeed,” he explained. His startup has five full-timers and six interns – and they have, I assumed, won him in poker to get hired. “The poker thing happened only quite recently [and] it’s not about beating me,” he quipped. Zac revealed that they sold about 100 packets of popcorn per week when they had just launched. Now, they sell 300 to 500 packets of popcorn a day, with B2B sales making up 80% of the sales while the rest come from booths or online. They have over 200 clients including Facebook, SATS, TripAdvisor, and the Singapore Police Force (SPF). When I asked him about the partnership with some of these organisations, he downplayed his response saying that “they just happen to be big names”. Then added that the SPF provides their popcorns as snacks for the NSFs at the Singapore Police Academy. Their relationship with SATS began at their National Day Parade (NDP) event in 2017 when they had placed small orders for their “several departments” and subsequently, when they gave them a booth space at their first-class lounge. “Trying to fight our way on-board flights!” he said excitedly. 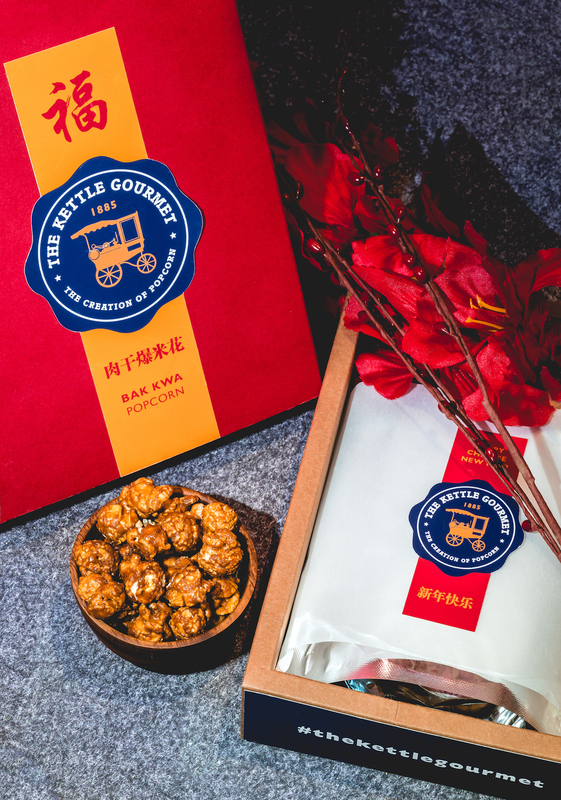 Their bestselling flavour is the Teh Tarik popcorn and their Bak Kwa popcorn sold out in four days of its launch during Chinese New Year this year. Zac also revealed that their next local flavour will be launching in the third week of May, coinciding with Artbox Singapore 2018. He said for now, we can expect new flavours, seeing them at more booths islandwide, and plenty of collaborations with local brands. They’re also launching a YouTube channel and are thinking about having a permanent retail store. In the long run, they are building a machine and are getting the patent and license for it. They are in talks of expanding to Indonesia and Hong Kong after receiving “multiple offers”. He also mentioned that they will “probably raise Series A funding when the need arises”, admitting that investors “do value-add” to the business. Zac may be new to the F&B industry, but he is definitely not a rookie when it comes to running a business. “You only need to be right once. You can be wrong 99 times but all it takes is just once to win. So never, ever give up. Your network determines your net worth. 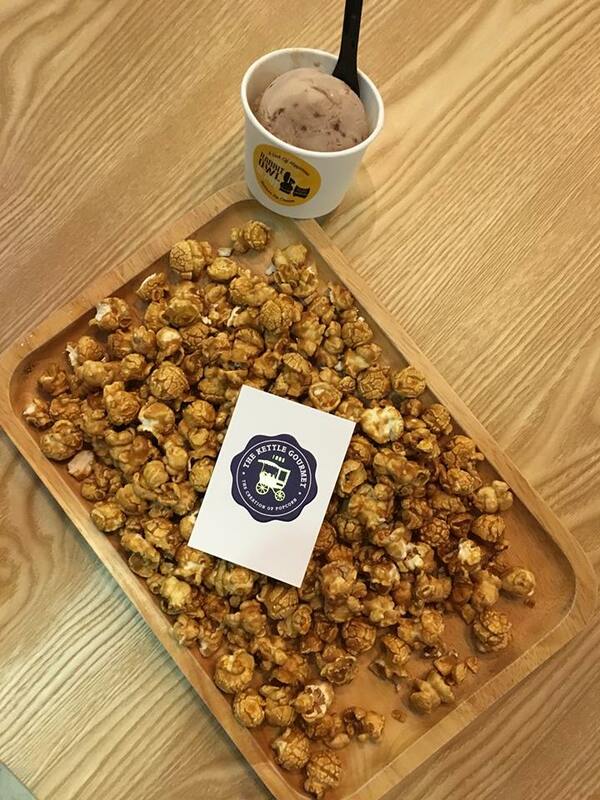 You can get The Kettle Gourmet’s popcorn here, and follow them on Facebook here and Instagram here.